Want a fun cookie that is more of a craft than recipe? 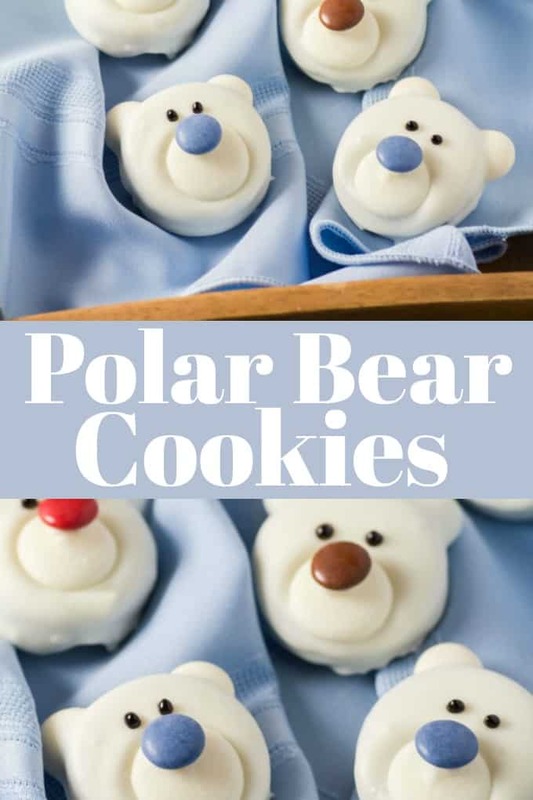 Then try these Polar Bear Cookies I have for you today. I originally saw this cookie on Pinterest and followed it over to Everyday Dishes last year. Amber and I were all set up to do this fun cookie. We tried it but for the life of me I could not get the little marshmallows to work for the ears. The cookies kept breaking and the ears kept falling out. Our project was kind of ruined sadly, until Amber came up with an ingenious idea to use the candy coated chocolates as ears also. That worked so much better for us but we were almost done when she thought up this suggestion, so we packed it in for the year. This year I wanted to try again, so we assembled all of the ingredients and went back at it. 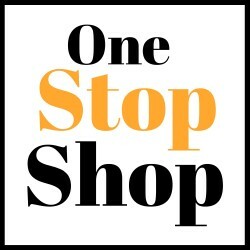 Please go over to the original post to see what Everyday Dishes did. You may have better luck than I did with the little marshmallow ears. They are white and would work well colour wise for sure. We used the paler coloured candy coated chocolates to use for the ears and then the red, blue, purple and brown for the nose. The orange ones………..we ate!! Aren’t they adorable. You don’t have to make many of these to liven up your cookie tray for the holidays. They are pretty sweet anyway so the kids will be after them for sure. The recipe makes 12, which I think is just the right amount. Another thing that I would change up is to use black icing in a tube as opposed to the decorator gel. It doesn’t dry so the cookies are hard to pack away without smearing. These little guys are still a work in progress for us but I had to share them with you now. 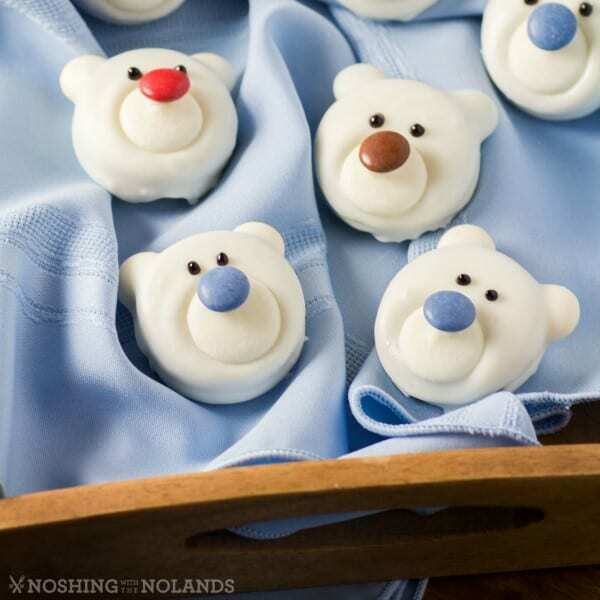 These no-bake Polar Bear Cookies make a great craft to do with the kids for the holidays. Lay out a sheet of parchment or wax paper to lay the cookies on once dipped. Choose lighter coloured candy coated chocolates for the ears and fun brighter, blue, brown, red and purple for the noses. Select 12 nice looking white candy melts for the muzzle and set aside. Melt the rest of the package. Slide the "ears" into place in between the cookies into the filling and dip the cookies in the melted white candy. Using a fork lift the cookie out and gently bang the side of the bowl to remove excess chocolate. Lay the cookie on the parchment. Place the candy melt on as the muzzle and press in gently to form a ridge around the muzzle. Paint a small amount of the white chocolate candy melts onto the "nose" and place it higher up on the muzzle. When the cookies are dried, use the black icing to dot on the eyes. Let dry completely before storing in a sealed container. Oh my gosh! These are so cute. I need to make these. They would be cute at a baby shower too. Thankyou so much Jennifer, enjoy!! into place “. How are these attached to the cookie? Candy melts are like a chocolate and found at craft stores like Michael’s. The ears are the same as the nose, they are what we call Smarties here but I think you can find M&M’s that would work if you are in the US. The Smarties are slid into the stuffing of the cookie and stay in place on their own. Then all is dipped in the melted candy melts. How are far in advance can you make these? Or, I suppose I should ask, how long do they keep? These are adorbs! Can’t wait to make them for the littles. We had ours around for maybe a week but they would last longer even in the fridge, nothing to go on them at all. I have a question I think these would be a great idea for my work but we make everything from scratch do you think I could make a sugar cookie an use in place of the Oreo? I think if you made a sandwich cookie that would work. I am sure your fellow workers would also forgive you because of the cuteness overload on these ones!! Oreos make a white chocolate dipped cookie this year. You could skip all of the dipping and get to the decorating. Plus, the white dipped Oreo is AWESOME tasting. Do you have an idea of how to attach ears? That would be the only thing I can think of that would be hard. There are way more great products in the US that we never see in Canada! Those look so cute! I love a cookie that’s as cute as it is tasty. I can’t wait to try my hand at making these. These are so cute! Definitely will have to try these with the grandkids. These are so cute. What a fun holiday treat o make for kids or just because. Oh. My. Goodness. This is amazingly adorable! I really can’t handle how cute these are!!! These are completely adorable!!! I love how they turned out these wold be a hit at a holiday party! Oh my! These are so cute. My kids would love to make these. Saving this for or annual cookie decorating party! I wish you had done a step by step tutorial, I would love to see you making them! You are so gifted! Love it! Sorry about that, didn’t even think of it and wasn’t sure if they would turn out for me again. They are easy now once we had a change in plans! Oh my goodness! Easy peasy and oh so festive!! I love these! Those are so cute! I love them! Thanks so much for sharing your creativity and the recipe. These cookies are so cute and easy to make. I will have to get the ingredients I need to make these this weekend. These cookies will be perfect for our Holiday party. I will have to make some this week to try. My kids are going to love helping me make these. They look so cute and delicious. Those look so adorable! I enjoy a cookie that’s as cute as it is yummy. These little cookies simply make me grin every time I look at them. I can not wait to try my hand at making these. 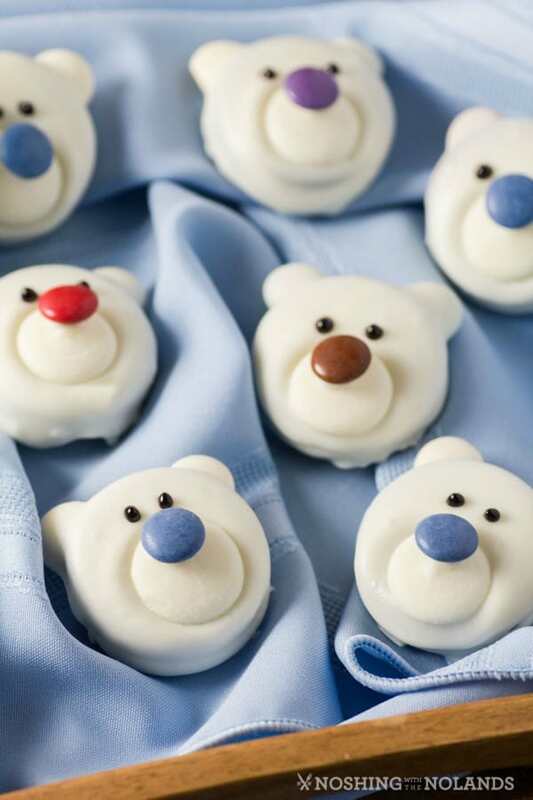 What a wonderfully simple and easy Polar Bear cookie to make that is. I bet that would really impress your friends if you shared some of those in a Christmas cookie exchange. These are so adorable! My kids will surely enjoy these treats! Perfect gift for the holiday too! How cute are these sweet polar bears! I am definitely making these with the kiddies! I love how this is a treat that can be made all winter long. Often so many treats are christmas themed. Adorable!! These cookies look so cute. They will probably be a big hit with the family each winter. These cookies are too cute and so perfect for the holidays! Can’t wait to bake these up! Another cute idea too!! Those would totally work Jynette! These are actually the cutest cookies ever! I love how perfect and tasty they look! This is so darn cute! This would be great for the holidays! Are the ears kisses? Oh by the way these are just adorable. Thank you for sharing. The ears are candy coated chocolate or as you would better know them, Smarties! I was going to ask the same thing! Thanks! No, I didn’t double dip the chocolate, maybe it is a different brand and that made the difference. I don’t know how you would attach the ears though, suggestions? I wonder how well they would ship from Texas to London? My granddaughter would love these! Yes, adding them to the “must make” list of cookies! Thank you for trying again this year. They came out great! So cute, would love to see a picture if you have one! I’m just inquiring about the ears…do you cut them somehow? They look smaller than the one on the nose. Thanks! No, they are the same size, the candy coated chocolate (Smarties) are just slid into the sandwich cookie. What’s a Smarties candy coated chocolate? I’ve not heard of those. I thought the ears were simply white m&m’s. They are so cute…thank you for sharing! https://www.google.ca/search?q=smarties&espv=2&biw=1920&bih=950&source=lnms&tbm=isch&sa=X&ved=0ahUKEwjx5f3y3drQAhUd3YMKHYmWDIgQ_AUIBigB Here are some pictures, the colourful ones I am referring to. You might be able to find different things if you are in the US, M&M’s may be more in a disc shape than the round ones we have. What are the noses? M & Ms? They are Smarties, same as the ears. You can use M$M’s if you have them in the US. Where did you find the pastel and white m&ms? They are Smarties, that we have up here in Canada. You could use M&M’s if they are the flat disc kind. The “white ears” are dipped with the rest of the cookie after they have been inserted. Loving everyone’s suggestions. Fun cookie/craft to make your own!! Would love to see how these actually come together for someone. After 3 stores to gather my supplies, haven’t been able to get a single one out of the dipping stage, let alone to be able to hit it against the side to get excess off. I now have a bunch of stuff that I can’t eat and it is too much of a mess to even claim it is a critter of some type. You aren’t able to dip them, is the white candy melts hot enough? They should very easily dip, never had a issue there. Are you using white chocolate instead? The dipping isn’t the issue. I am not a novice at dipping. No not using ‘white chocolate.’ The cookies do not hold together no matter the method used. Finally used a tiny set of tongs and then did as best as could to smooth the face. Too bad, the pictures are so cute. I am sorry, now I understand. I had that issue the first time I tried to make them with taking the cookie apart. They wouldn’t hold together again or broke. Once I used the Smarties that we had for the nose and then for the ears is was not an issue. Hmm, never thought of taking the cookie apart. The smarties must be slimmer than the m&ms. Could not find smarties or another candy that would work. Just as well, I cannot eat any of the components used. Thx for your troubleshooting. Maybe they are slimmer, I was worried about that. I know our M&M are very plump. If you still have white candy melts maybe you can do a bark. Sorry it didn’t work for you. Any tips to keep the candy melt ears from melting? I didn’t use the candy melts for the ears but I used the Smarties. How did you get the smarties to stick to the candy melt nose like in the picture? The recipe says to paint on the nose. I’m confused (not hard to do). Paint a little white chocolate onto the nose and attach, I will clarify that. How did you get the actual cookie to stay together?? The ears (mostly) stayed in, but the two halves of he cookie kept falling apart! Also, what cookies did you use? I used double stuffed Oreos. The “Smarties” I used worked great, they are fairly thin as you can see with the nose. I just didn’t push them in too far. Before with the marshmallow ears I had the issue of the cookie breaking and the ears not staying in. I made these today & they did not turn out as nice as yours. How did you get them so smooth? M&M’s are thicker than smarties so I recommend that if you don’t have smarties available to you that you get the mega stuffed oreos. I didn’t have good luck with the M&M’s staying in. They are cute but not as pretty as yours. I guess it all depends what you have available for this. The candy melts that I used just went smooth like that with a few taps on the side of the bowl. I don’t believe we have mega stuffed oreos here in Canada but that is a good suggestion. As I said in the post, these are still a work in progress but fun to make. My Granddaughter and I can’t wait to make them for her 3rd grade class! Perhaps small dark dragees for the eyes would be a better choice? Have you tried mini chocolate chips for the eyes or maybe even sprinkles for colored eyes? That would be neater than either frosting or gel. More good suggestions, thank you!! what are the other ingredients??? They are all noted in the recipe. I made these cute bears for my church craft Bazaar last year. They were gone in a few minutes! So, when I found out my daughter was pregnant, I made them as her baby shower favors. The white polar bears became Brown fuzzy bears ( just like her childhood bear) with a note attached that said “Thank you for coming to my Mommy’s shower. I can “bearly” wait to meet you!” Thank you for the inspiration! OMG, cuteness overload, I can “bearly” stand it. I am so glad you are having fun with this recipe. So creative to have done them in a fuzzy bear rendition, love it!! I made these last December and I used the Smarties for ears and followed the rest of the directions and it was so easy! I wish I could attach a pic here. I making them again next week. Thank you for recipe and for the tip about using Smarties instead of marshmallow. This really is more of a craft than a bake and my nephews loved these! So glad you had fun with these and I agree they are more of an edible craft than a recipe. Happy Holidays!! Can I use regular melted white chocolate and spread it on the cookie with a butter knife? I’m having my special education class make these for cooking. Trying to find a way to make them without getting all the special ingredients. Went to 3 stores and ran out of time looking for the other meltable chocolate discs/smarties. You can try it but I am not sure how smooth it will look. If the chocolate is too thick I have read to add a small amount of Crisco (not the butter flavored) to the chocolate. This will thin it and make it more workable but doesn’t effect the drying time. I personally have not tried it though. Hello, thank you for this wonderful idea. I have been making these in bulk for a number of years and have a few helpful hints . Use the mega stuffed oreos -solves the problem of the cookie coming apart when you slide in the m&ms in. Use wilton bright white candy melts. These are available in most craft stores. I usually mix in paramount crystals (available on Amazon) which helps to smooth the candy mixture. Crisco in very small amounts works well too. Once the dipped cookie is set, I use a razor blade to shave off the excess chocolate that pools on the bottom of the cookie. This gives it a clean professional look. Happy dipping! Thanks for the great tips!! So glad you are enjoying making them! !